Casting a great vision is required of any leader worth his salt. He has to be able to look forward and KNOW where the organization he is leading will go. And that’s what we’re told. Great leaders look forward. Unfortunately, this statement is often followed by bad wisdom. 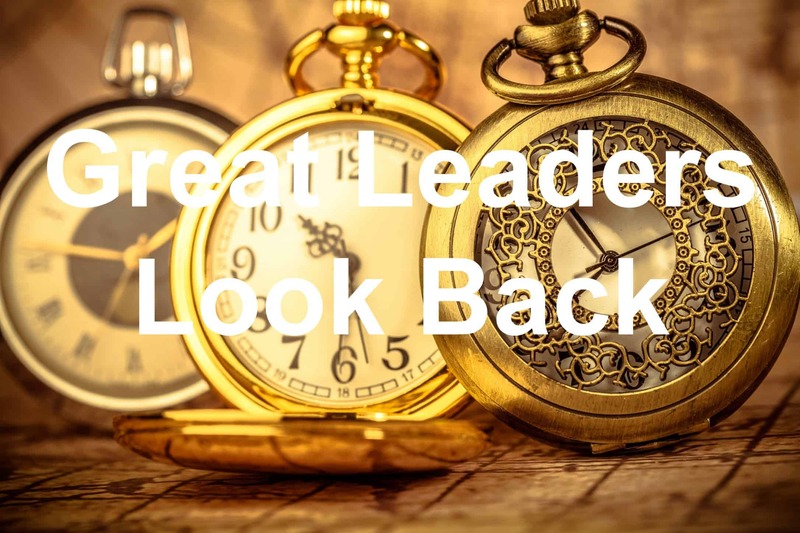 After someone tells us how every great leader looks to the future, we are told great leaders never look back. I can agree with the first part of the statement. Leaders who get things done know they have to have an eye on the future. I take issue with the next part, that leaders can’t look to the past. I know great leaders must look to the past. For there are many lessons to be learned there. Ouch, that can sting for those of us who want to look to all the good things that are going to happen tomorrow. Santayana gave us a crucial truth that any great leader knows he must listen to. The past contains the wisdom of past generations. All of those who passed before us and left a message, their wisdom is there for our taking. We can GO TO THE PAST and consume the knowledge of former great leaders. We can learn and grow because of the past. The past contains hard lessons we must never forget. All of us have made mistakes. We’ve made the wrong decision and we faced a setback because of this bad choice. If we were to never look back, we could forget the lessons we learned while we were down and out. The past contains our previous success. Yes, the past can remind us of our past failures. There’s a flip side to this as well. Looking to the past can reignite our passion by reliving our successes. This reminiscing is especially important when we’re stuck in a funk and think we can’t do anything right. By looking back, we are reminded we are not failures. We only have had failures and lived. The conventional wisdom that says leaders don’t look back is wrong. We can’t keep our eyes solely fixed on the present or what is to come. We have to take time to reflect on what has come before us. There, we will learn lessons from our failure, from others, and from our success. Don’t be afraid to look to the past. Question: Do you look back and reflect on your past? Why or why not? Let’s talk about this in the comment section below.